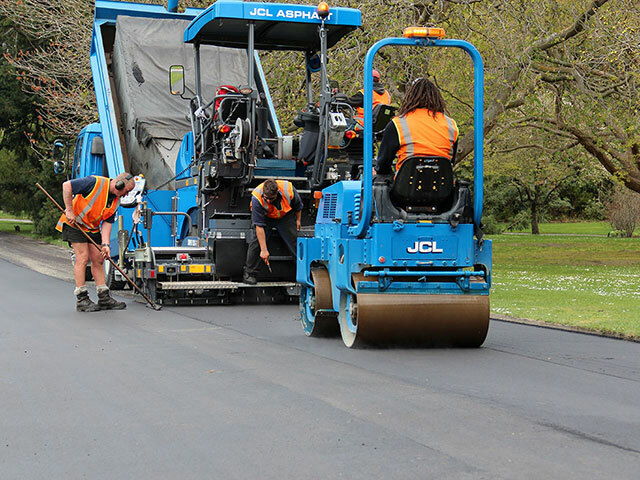 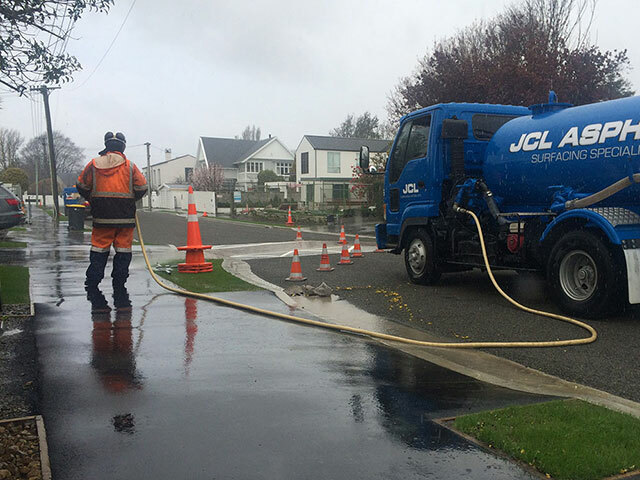 Footpaths - JCL Asphalt | Residential, Commerical Asphalt | Canterbury, Central Otago. 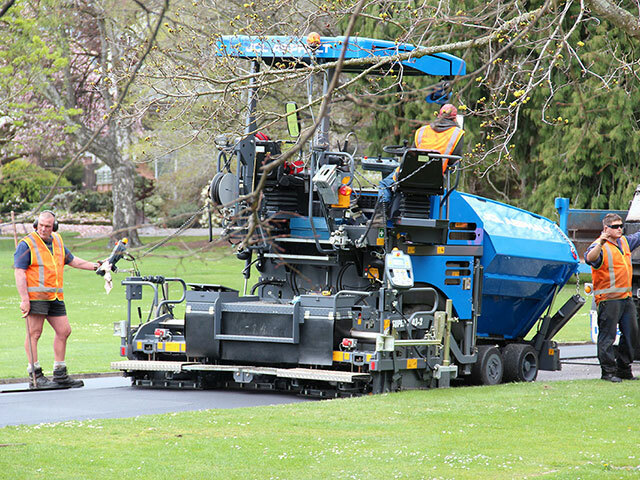 Well-constructed, even paths are absolutely essential to the safety and convenience of the pedestrians who use them. 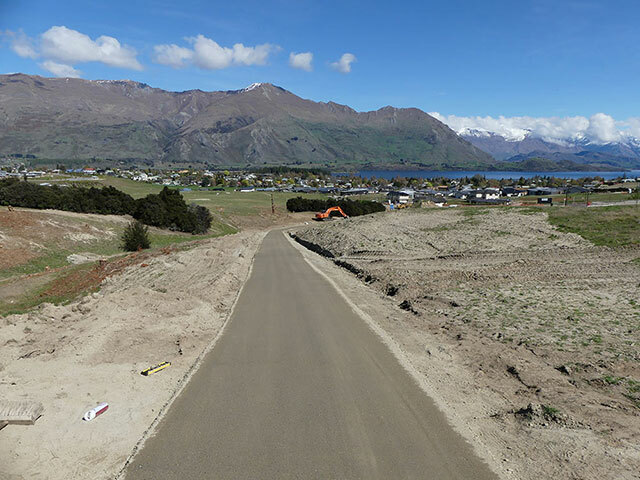 Over the past 12 years, as part of our residential subdivision works, we’ve constructed numerous kilometres of new footpaths. 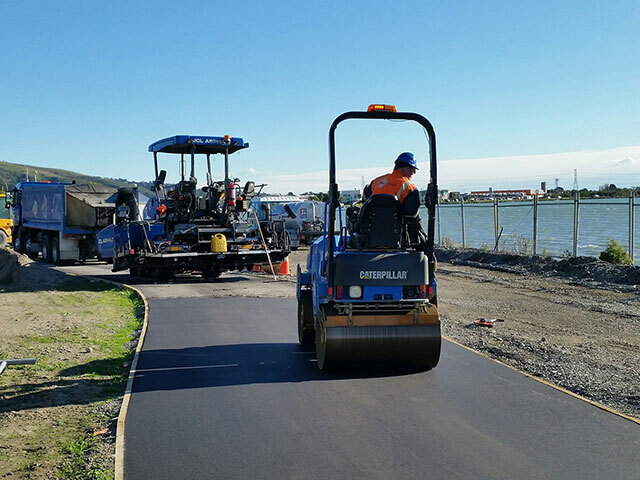 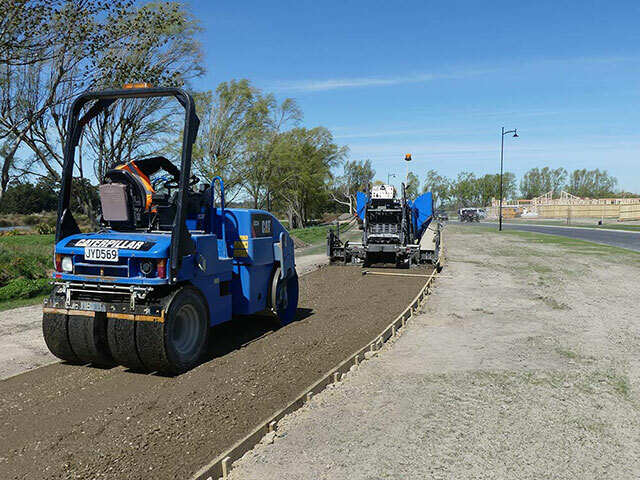 We’re also a provider of services to local councils to maintain and repair existing footpaths and construct new pathways, throughout Canterbury and Central Otago. 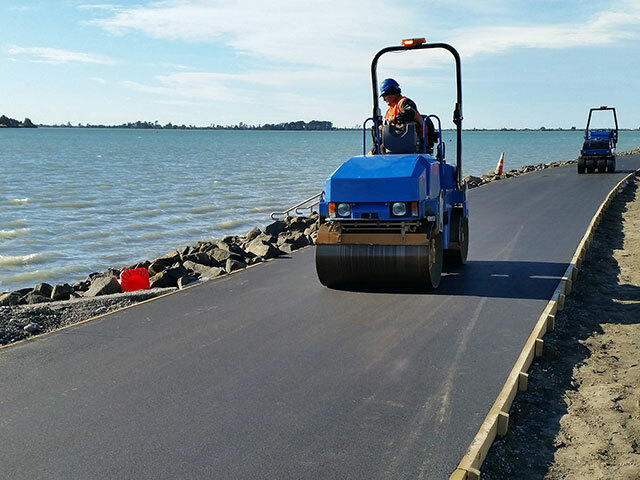 The Coastal Pathway (which runs along the bottom of Mt Pleasant) for the Christchurch City Council. 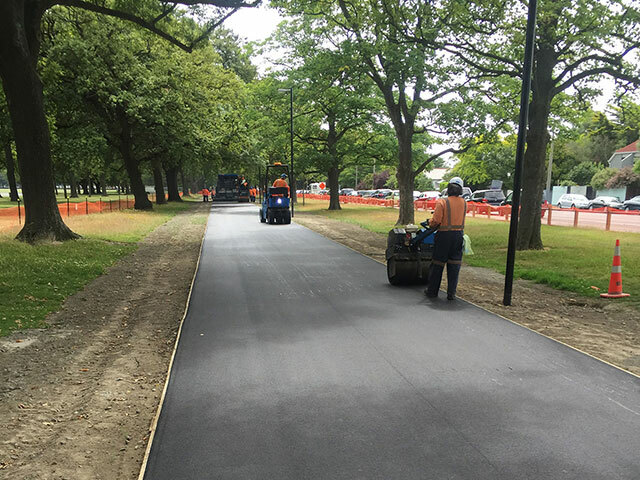 This pathway required a high quality of finish in order to cater for wheelchair-users, cyclists, skateboarders and scooter riders as well as pedestrians.